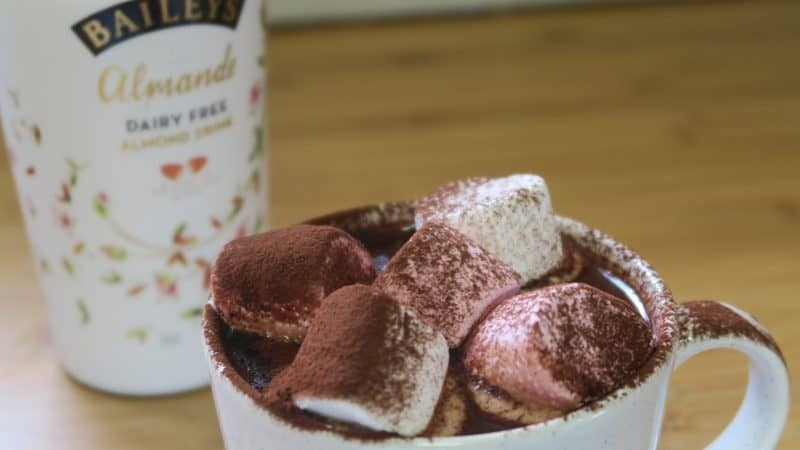 Brrr, it’s super chilly outside, fireworks are lighting up the sky, and that only means one thing: it’s hot chocolate time – and nothing beats a Baileys hot chocolate! I’ve been waiting to get my hands on the new vegan Baileys for ages and was very excited when I was sent a bottle to test out. I also thought it was the perfect opportunity to try making a vegan Bailey’s hot chocolate! 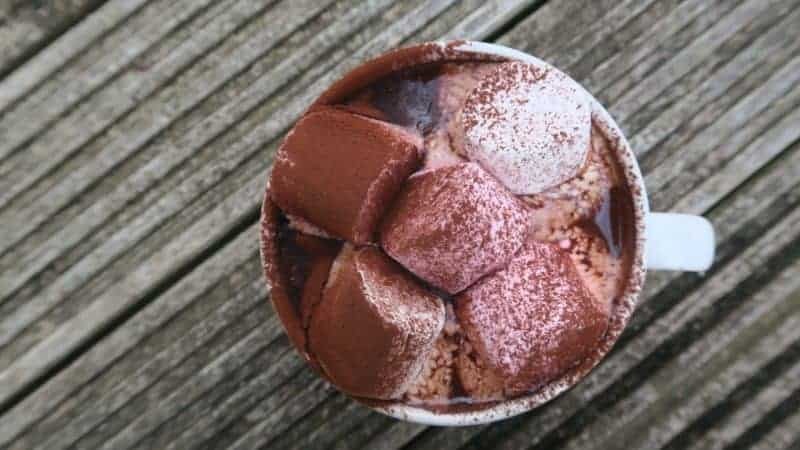 It’s Bonfire Night tonight and this dairy free, gluten free and vegan hot chocolate recipe is the perfect treat to enjoy while you’re watching the fireworks! The vegan Baileys gives it that extra special treat, and makes it feel a little bit festive – though if you want to make this for children you can easily leave that bit out, or just add it to the adults’ mugs! I know my friend Catherine has recently had to give up dairy and one of the things she was worried about missing was hot chocolate. Well, Mummy Catherine, this one is for you! It takes only a couple of minutes to make – just add everything to a saucepan and warm gently! I added some marshmallows on top of mine for an extra special treat. So wrap up warm and fill your flasks with this delicious recipe – or if you’re not heading out to watch the fireworks tonight, then just add it to your favourite mug and enjoy under a blanket. 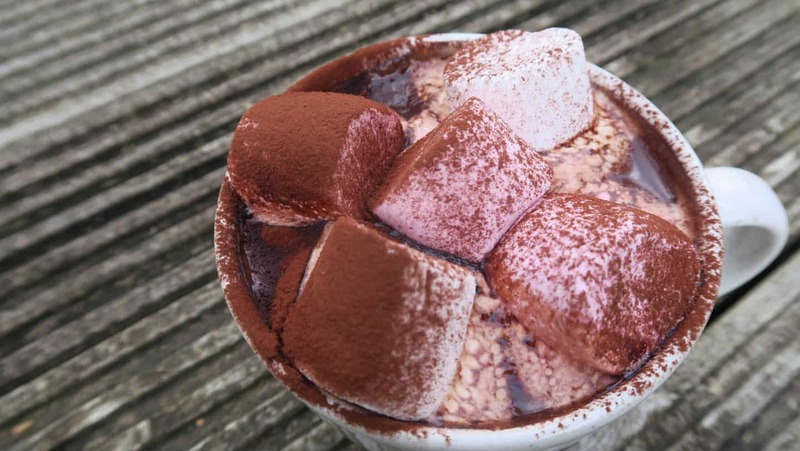 This failsafe vegan hot chocolate recipe is guaranteed to get you through the dark nights! Vegan Baileys – how is it? If you’re dairy free and missing Baileys like crazy, don’t expect this to be like the real thing. The vegan Baileys is nice, but it tastes just how I imagine alcoholic almond milk to taste. It’s quite creamy but not in the same way traditional Baileys is. I think it makes a good, festive drink, but I preferred it in this vegan hot chocolate recipe to drinking it on its own. However, it is a very pleasant drink on its own. I’m planning on experimenting with a couple of other dairy free recipes using the rest of the bottle, so if you have any suggestions or requests, please let me know in the comments below! 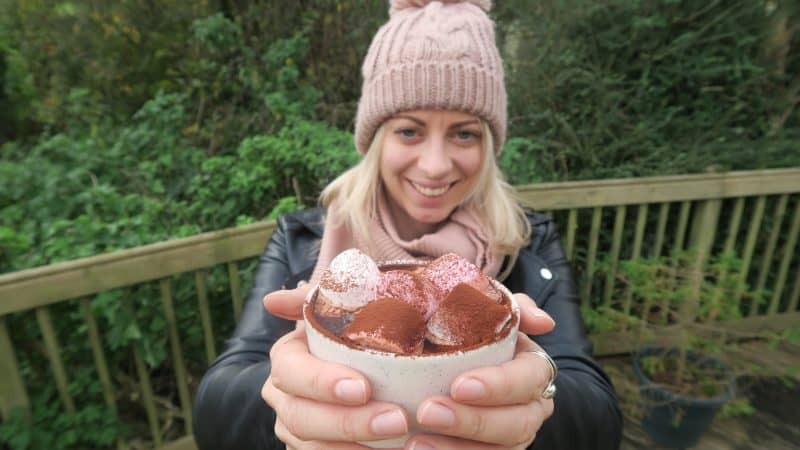 A super simple gluten and dairy free hot chocolate recipe using the new vegan Baileys, perfect for Bonfire Night and the festive season. Add all of the ingredients to a saucepan and place on a low heat. Stir/whisk constantly until the chocolate has completely melted. 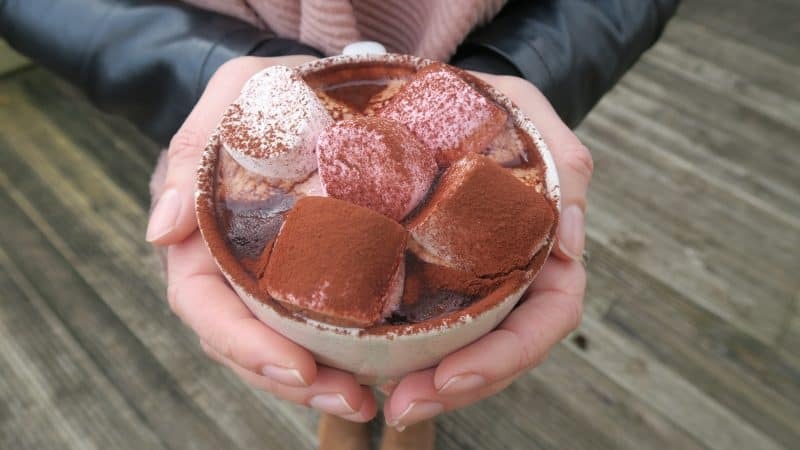 Pour into your favourite mug and enjoy topped with marshmallows and dusted with cocoa powder. This is per person - you can also omit the Baileys for children! So there you have it! My gluten and dairy free vegan Bailey’s hot chocolate, just in time for the fireworks! What would you like to see next? I always love receiving your recipe suggestions, so please comment below with what you’d like to see me make next! And don’t forget, you can always contact me with suggestions on my Facebook Twitter and Instagram pages! I was kindly sent the new vegan Baileys as a PR sample, but all views, as always, are very much my own.